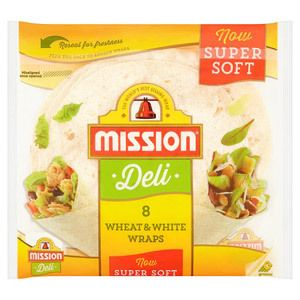 If you’re tired of ordinary sandwiches, or simply want to change things up a bit, then our range of Mission Deli Wraps are going to be just right for you. Made using authentic, natural and healthy ingredients, these delicious deli wraps are sure to become a firm family favourite. As versatile as they are tasty, they’re perfect for filling with all your favourite things!